You are here: Home / Troubleshooting / How To Install Windows Xp In Acer Laptops? 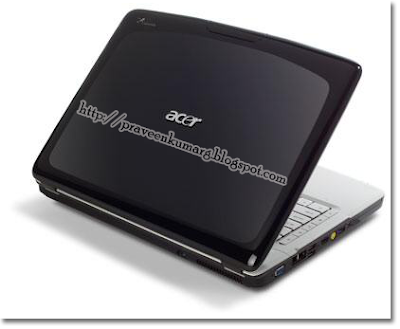 Are you not able to install windows Xp in Acer Laptops, Acer Aspire Laptops, Acer Aspire One, Acer Travelmate ? Getting Blue screen error saying ? check for viruses on your computer. remove any newly installed hard drives or hard drive controllers. check your hard drive to makes sure it is properly configured and terminated. run chkdisk /f to check for harddrive corruption, and then restart your computer. Why this error occurs while installing Xp in Acer Laptop ? As we know, Microsoft stopped Windows XP selling product to new computer purchasing in order to overcoming Windows Vista. On recent days, new computers or notebooks product which has the requirement hardware are now capable to use it. One problem found that lots of newest computers or notebooks are equipped with a SATA interface hard drive that not all recognized by Windows XP installer. It would ask the SATA driver for the hardware and you must provide it before continue to installing the rest processes. 1. Get your windows Xp disc. 3. Now you are in CMOS, go to Main, look for the SATA, the SATA is ACHI, change it to IDE. I have installed windows XP on Vostro by adding Sata drivers in my windows XP installation and recreating image. No idea if this worked in Vostro too. This is really quick solution. Thanks dude i was able to install windows XP on my pc easily.